Recently engaged? Here are 5 secrets to wedding planning success! Wonderful weddings happen when you hire the right people. Devour Catering in Calgary is here to help! Did you know that more people get engaged in December than in any other month of the year? What a great Christmas present! In January, our phones and inboxes are full with inquiries from newly engaged couples looking for information. Let the wedding planning begin! Here are some simple suggestions that may help your planning process. If you have any questions or would like to schedule a complimentary wedding consultation with us – please let us know. We love weddings – they are the most personal events we cater and each one speaks to what we are most passionate about at Devour – creating unforgettable experiences. A wedding is something that everyone remembers for the rest of their lives. We never take it for granted when a couple chooses us to partner with them for their wedding day. It is a big responsibility. But, I am getting ahead of myself! And this is precisely the thing I am advising newly engaged couples to avoid! Take your time and do your best to enjoy each step along the way. The planning should be as enjoyable as the wedding. This attitude will go a long way to making your wedding day wonderful. Here are 5 simple steps to wedding planning success. Jump up and down and kiss each other a thousand times! Before you start diving into the details of planning your wedding – enjoy being engaged! Often people miss this step and start overwhelming themselves with worrying about getting everything ‘perfect’ and organized for the wedding. Some couples host small and informal engagement parties to share the news with close friends and family. Simple is always best. Don’t turn your engagement party into a mini-wedding! I must say that at Devour Catering we really love Pinterest. It used to be that when we met with wedding couples to talk about their wedding we would pull out magazines and books to get a sense of what their style was or what they were looking for in terms of decor, colours, style of food, etc. Some couples would come in with scrapbooks or magazines of their own with pages marked so they could explain to us what they wanted for their wedding. Well Pinterest has changed all that. We can now look at a couple’s Pinterest boards and get a clear idea of everything they are envisioning from what kind of dress the bride is wanting, to flowers, to decor, to colours, to food. It is fantastic! And, let’s be honest, brides-to-be and grooms-to-be almost live on the internet when they are in the planning phase. The ideas and styles you are automatically drawn to will help you further define what kind of wedding you want to have. You can follow theDevour Pinterest boardsfor more inspiration and also to see what sorts of things inspire our style and approach to events. Tent wedding, gallery wedding, barn wedding - no matter the venue let your style come through. This can be a tough one. Now that you have spent some time visualizing what kind of experience you want your wedding to be it’s now time to sort out how to make your vision a reality. We often suggest that you really sort out what is most important to you for your wedding and what kind of experience you would like your guests to have before you jump in and start hiring vendors. Couples who work with Devour have both agreed that memorable and delicious food is one of their top priorities. Which is fantastic - because it is our top priority as well! We make everything from scratch and to order. We are passionate about creating custom menus to suit you. You won't be picking your menu from a list with us. We will meet with you and create a menu that will reflect your likes, personality, and family traditions. There are some great free tools out there to help you figure out what is most important to you for your wedding. But a really simple way to start is for each of you write down the three things that are the most important to each of you for the wedding in order of importance. Make sure to show each other your lists and, if you can, agree on the same three things! Devour Catering makes food you won't forget! Let us create a custom menu for your wedding. We always encourage wedding couples to think of their venue search as an adventure of sorts. Many other parts of your wedding day plans will fall into place once you settle on the venue. 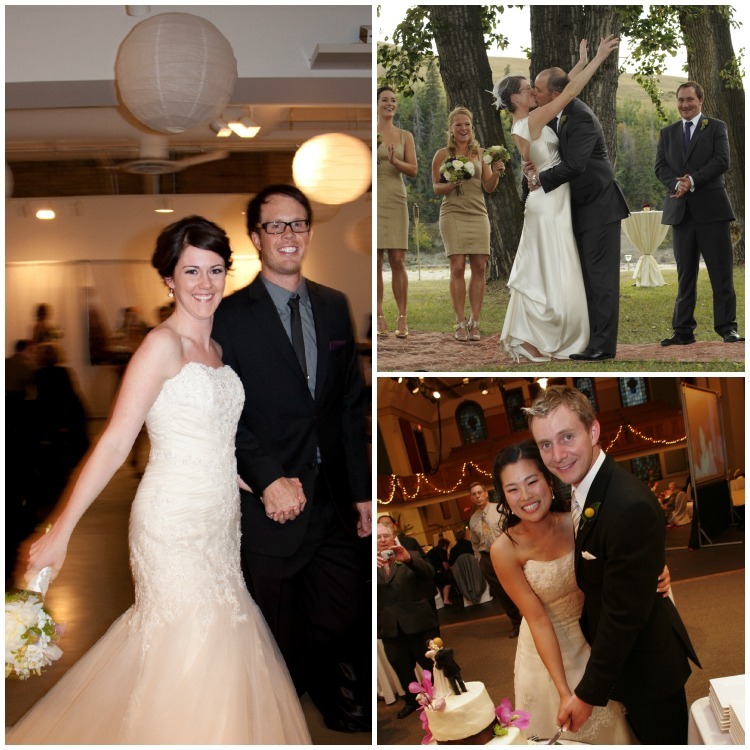 We have catered many weddings in Calgary at many venues. Three of our favourites (photos included in this post) are The Art Gallery of Calgary, the Southern Alberta Pioneers Association, and the Shawnessy Barn. We are very familiar with many other venues in Calgary and surrounding area though so if you need some suggestions, please contact us. Putting together a solid team of people who are going to partner with you to create a fantastic wedding day experience for you and your guests is when the whole thing starts to become more ‘real’. Word of mouth referrals are the best way to find a group of reputable people who are used to working together and who maintain the same service standards. If you would like us to provide you with suggestions of vendors or references from past wedding clients - let us know. If you are trying to decide what caterer to use, you may want to read this post about '8 things you should know before you hire a caterer'. Not all catering companies are created equal. We believe that your caterer should be a partner in your wedding day. The food and the service are integral parts of your wedding reception and the caterer should be as informed as possible about what your expectations are. We shoot to exceed them every time. Devour Catering provides wedding coordination services for all of our wedding clients for many reasons. Having someone coordinate all the elements of the ceremony and reception is an important job and will ensure that everything runs smoothly from start to finish. We also strongly believe that it is not fair to task your family or friends with this responsibility. It means that they don’t get to fully enjoy the wedding since they have to make sure that everything is running smoothly. Coordinating the timing of the ceremony and reception also means that your food will be perfect at the right time. Please call or email us if you would like more information about how we can make your wedding exactly what you want it to be. For more great celebration ideas please be sure to follow us on Pinterest, tweet us on Twitter, and show us your love on Facebook! Why are these couples smiling? Devour Catering was part of their wedding!! Older PostMake 2013 a year to celebrate!